We make wicker coffins, urns and burial baskets; woven by hand from natural English Willow. 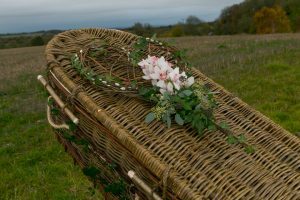 Our wicker coffin design has been created so we can offer you; a natural, ethical and biodegradable coffin, made in the UK. Because of this, all of our wicker coffins and urns are entirely hand crafted; in our own Sussex based workshop. 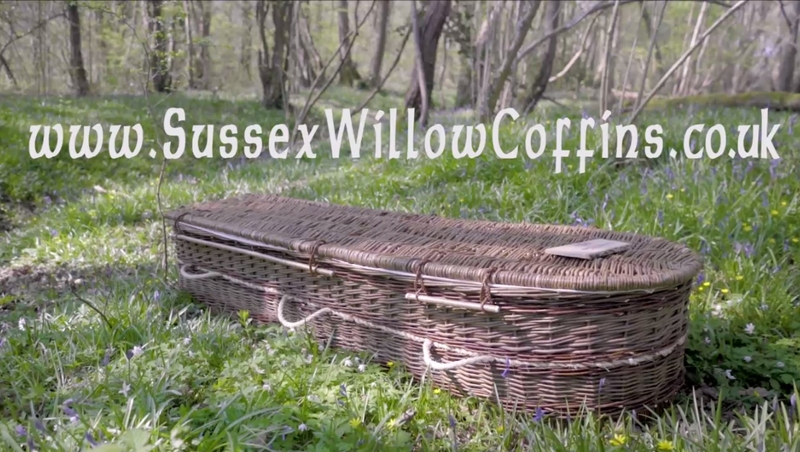 Watch this short video to find out about Sussex Willow Coffins and our ethos. So all our willow coffins are suitable for burial or cremation. 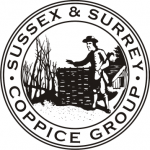 Read on for more about Sussex Willow Coffins and the craft of weaving Wicker Coffins. 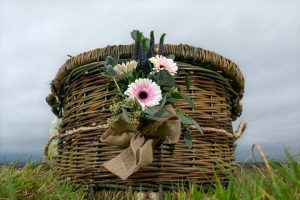 Wicker coffins are the perfect choice of natural coffin for a woodland burial, natural burial and green funerals. Because of this they are equally suited to cremation, as a change to a traditional coffin. 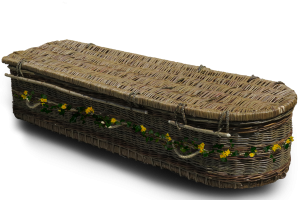 We are proud of our natural, English willow wicker coffin designs. Founded on ethical and green principals; attention to detail and hand weaving craftsmanship. Click here to find out more and how to order. Our hand woven natural coffins are made in the UK. They are woven from wicker willow, by skilled basket makers, using age old willow coffin weaving and basketry techniques. Working in a barn near the Sussex Downs; currently the only wicker coffin makers in the South East of the UK. 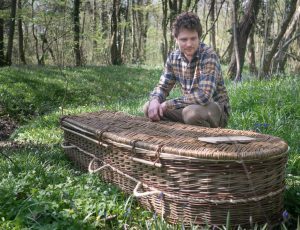 Find out more about the willow coffin weaving process, our ethos and Jake Whitcroft – Willow Coffin Maker. These are ecologically sound and 100% biodegradable coffins. Our wicker weaving materials are eco friendly, locally sourced and grown sustainably; besides rivers on land used for coppice. Because we care about principles of sustainability; in your end of life choices. 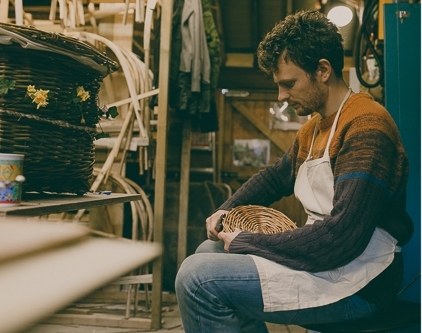 Hand crafted burial baskets, woven from English Heritage Willow varieties; grown in a sustainable way in the UK. Individually made by hand, in the heart of the English countryside. The two designs of wicker coffins we offer have been carefully honed, to blend weaving of both regional and traditional style. Because our natural and environment friendly caskets or eco coffins, are made to be suitable for: traditional funerals, cremation or woodland and natural burial. 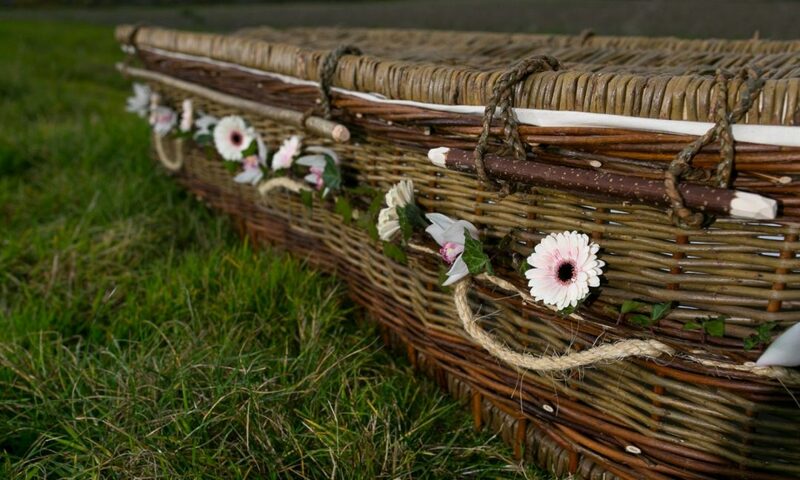 All of our natural willow coffins are eco friendly and 100% biodegradable. Are you planning a funeral or cremation but not sure where to start? 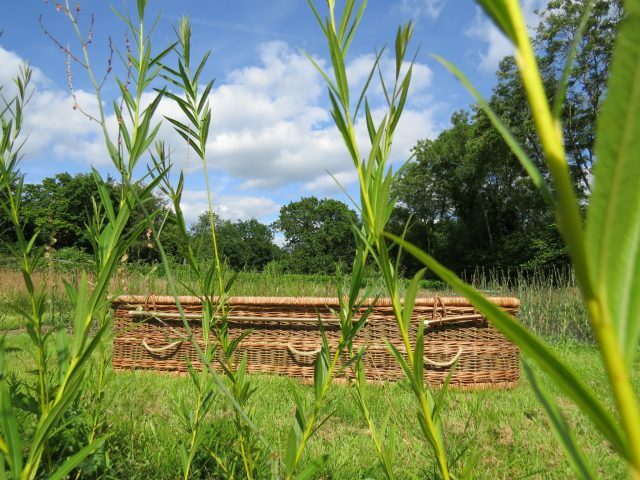 Why not visit our FAQs page and find the answers to some of your queries about: our wicker coffins, cremation, natural burial and green burial sites; why our natural willow coffins are so unique and working with a funeral director. 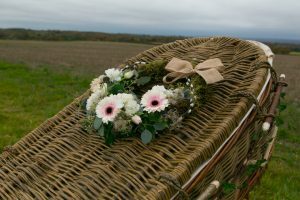 For a truly natural choice in Wicker Coffin, choose Sussex Willow Coffins. I found Sussex Willow Coffins online and my dealings with Jake were by email. He responded to all my questions promptly, liaised with the funeral directors, and was so helpful, courteous and kind. He provided a beautifully crafted, appropriately sized coffin (mum was small, well under 5 ft), and also an ashes casket. He clearly pays great attention to detail, not only in the weaving of the coffin itself, but also with the lettering on the nameplate, and the handles, loops, clasps and liner. I felt as if he was looking after my mum in some way, and she looked peaceful and comfortable in her coffin. Thank you Jake - my family and I can unreservedly recommend you and your work. 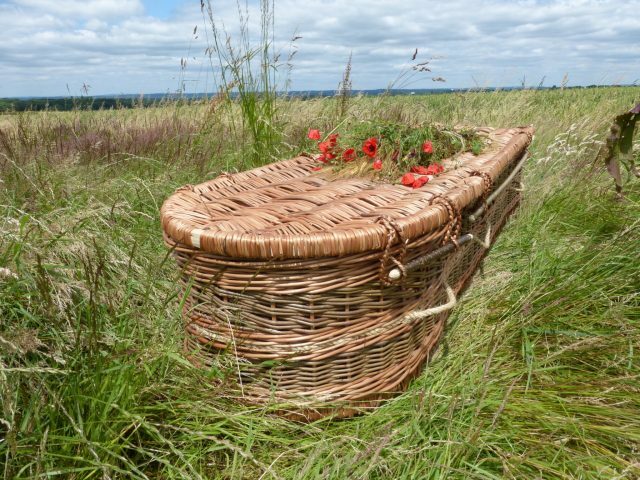 A beautifully-made willow coffin, made with sensitivity, care and flawless customer service. A little more money than the larger manufacturers, but very much worth it for the personal touch, the craftmanship and the natural feel. Fully recommended.